Boat builders from around the world schedule the public debuts of their new models around this specific show in South Florida. There simply is no better venue or opportunity to get the latest boat in front of the largest crowd anywhere in the world. The event doesn’t just benefit the manufacturers, but all related businesses from the dealers, yacht brokerage firms, accessory companies, and boat detailers. Local hotels, restaurants, and even Uber drivers also benefit from the influx of people into the area who all stay within a few miles of the beach. With an impact to the state’s economy of over $850 million, a recent study showed, this year’s boat show will bring more money to businesses in Florida than a Super Bowl. An exciting new addition to this year’s event will be the coverage by NBC Sports Group that will result in a one-hour boat show special. NBC has covered live events similar to this before, like their coverage of the North American International Auto Show Special. Many boat builders recently submitted their applications for a “Best In Show” award which includes a trophy for the winner created by industrial designer Derek Jenkins, as well as bragging rights. 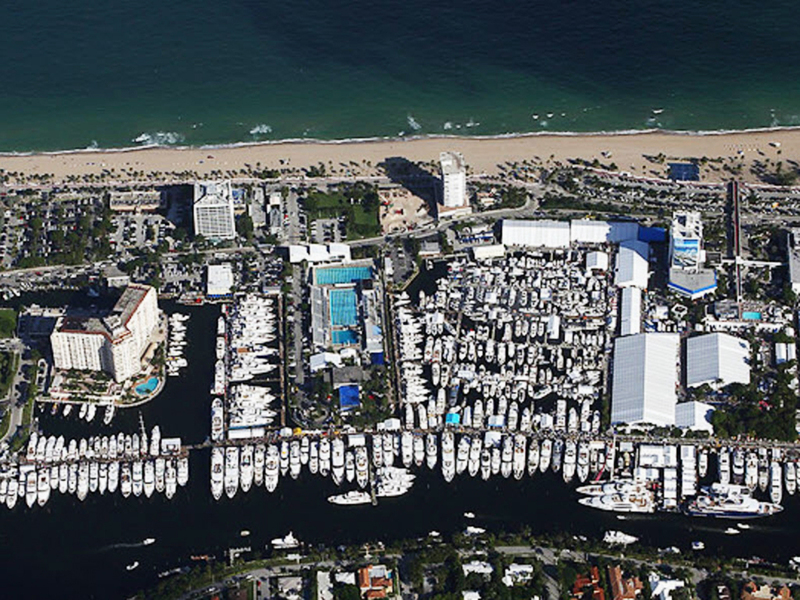 NBC Sports will continue to cover the Fort Lauderdale Boat Show through 2020, giving the network access to a very special event that brings together many of the wealthiest people in the world. NBC will be filming at the show from October 31st through November 4th, but a date as to when the coverage will air has yet to be determined. This story is contributed by Rob Bowman from Bowman Marketing (LinkedIn.com). Rob reports on the sportfishing yacht, trends with luxury motor yachts, and new advancements with long-distance cruising yachts.